I’ve been long looking for a great recipe of bread with raisins that would come out as I really like, that is very soft and incredibly tasty. My mother prepares it with this easy Tuscan bread recipe, she just adds raisins to the pastry when working it by hand. The result is great and the taste “rustic”, but I was looking for something different and even more tender. 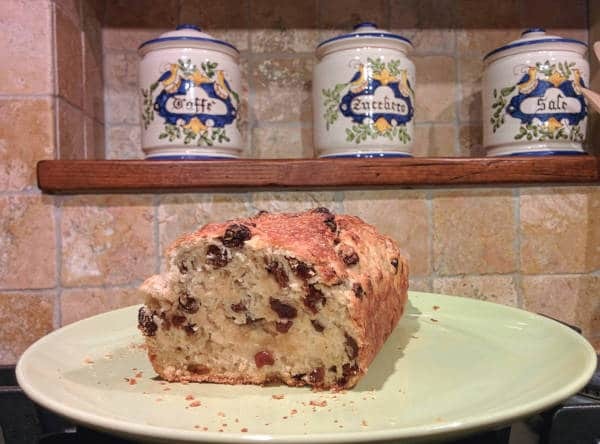 After time spent looking for it on the web, I finally found this recipe for bread with raisins from an interesting site of Italian recipes. I’ve made some variations from the original recipe, you can compare them if you wish.